How Does an LLC Pay State Income Taxes? All businesses pay federal income taxes, and most states pay state income tax if that tax is imposed by the states. Most states follow federal tax laws in determining net income (profit or loss), but each state adds its own exclusions and special deductions, just to make things more complicated. States also have different ways of taxing LLCs, because of their unique tax position. If the LLC is a multiple-member entity, it pays federal income taxes as a partnership. If the LLC is a single-member entity, it pays federal income taxes as a sole proprietorship. 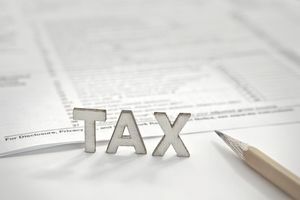 This means in most cases that the single-member LLC pays taxes by filing a Schedule C and including it in the owner's personal income tax return. LLCs can also elect to be taxed as either a corporation or an S corporation, making the confusion even greater. Just to increase the confusion, the IRS and some states call the single-member LLC a disregarded entity. After you have figured out your LLCs tax status, you can go to your state's department of revenue to find out how your state might be taxed. What is the tax based on? Most states use the federal income tax liability as a basis, but states modify that basis for their state tax. How does the LLCs tax classification (sole proprietor, partnership, S corporation, or corporation) affect the state income tax? Some states call their income tax a franchise tax. Other states may impose taxes on LLCs as a gross receipts tax rather than an income tax. Florida says that LLCs classified as corporations pay corporate taxes, those classified as partnerships pay partnership taxes. LLCs classified as sole proprietors don't pay a separate business tax. The state of Florida uses the federal taxable income but modifies it. See this article from the Florida Dept. of Revenue for more details. In California, an LLC that is treated as a partnership or disregarded entity (single-member LLC) files a specific type of return and pays $800 in tax. An LLC taxed as a corporation files a different type of return and pays the "appropriate tax." See this article from the California Franchise Tax Board for more information. Delaware classifies LLCs the same way as the IRS does. For LLCs classified as corporations, the Delaware corporate income tax rate is "8.7% on its federal taxable income allocated and apportioned to Delaware." New York also conforms to the IRS tax classifications for LLCs. There is an additional New York City tax.